2 bedrooms (air conditioned), family bathroom, Kitchen, Dining and Lounge. Doors to Dining terrace. External stairs up to: 1 bedroom (air conditioned), family bathroom, Kitchen, Dining and Lounge area. Doors to upstairs terrace. The Air Conditioned living room has sofas, WiFi Internet and dining area. Nice stay, clean and spacious Villa for a family with grown up children. Excellent to eat breakfast outside, we loved it; Nice pool, even not that big, it was a pleasure to enjoy the pool in front of the villa! Good experience with Agni travel. We spent a wonderful 10 days in villa Mia. The villa was exactly as described and the location was perfect - just 2 minutes from the supermarket and 3 from the harbour with its bakeries and tavernas. The villa was very safe and we were able to leave our children aged 16 and 11 for an hour or so whilst my husband and I swam in the sea or went for a walk. The owners lived next door and were on hand whenever we had any questions and sorted out a few minor issues when we arrived. In fact without their kindness and consideration that we should have a wonderful holiday we would probably have missed our flight home. The hydrofoil which wed booked had broken down on the day we were due to travel - the owner came looking for us in the town to tell us and organised a sea taxi to take us back to Corfu. She even reimbursed us the money for the ferry tickets and she would get it back from the ferry company later. Such kindness was over and beyond what wed ever expect. We loved Paxos - especially Loggos and Villa Mia was a lovely place to stay. Great location car not required short walk into village of Loggos. 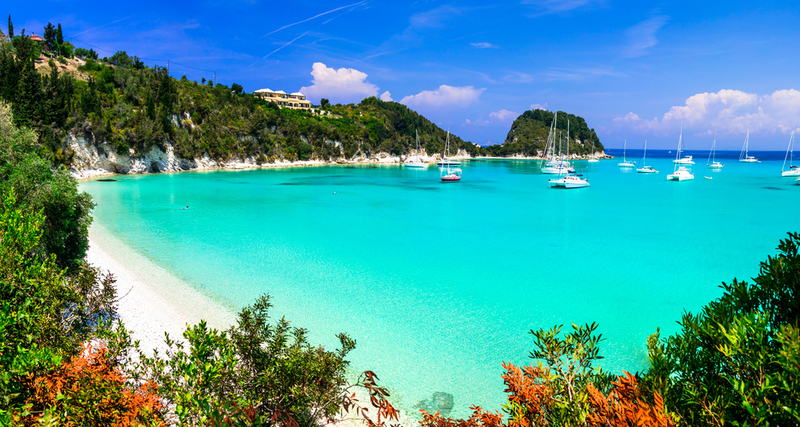 Paxos, Loggos in particular was a wonderful destination. I am hoping to return in the future. We had the most wonderful holiday at Mia. The villa is spacious and set in wonderful surroundings. The villa has everything you would need for a relaxed comfortable holiday. We thoroughly enjoyed using the pool and to have a BBQ was great. Many a hot evening was spent enjoying the sunsets with the family. The booking process was easy and Agni Travel were happy to answer any questions we had. Would highly recommend property and Agni Travel.